VIZ | VIZ MEDIA SERVES UP SPINGTIME SMILES WITH TWO NEW GRAPHIC NOVEL RELEASES FEATURING THE MR. MEN‰ã¢ AND LITTLE MISSES‰ã¢! VIZ MEDIA SERVES UP SPINGTIME SMILES WITH TWO NEW GRAPHIC NOVEL RELEASES FEATURING THE MR. MEN™ AND LITTLE MISSES™! 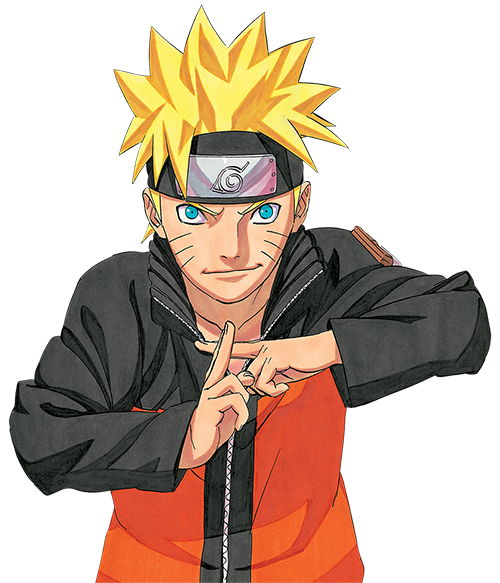 San Francisco, CA, April 12, 2012 – VIZ Media, LLC (VIZ Media), the largest distributor and licensor of anime and manga in North America, will delight younger readers with a pair of fun new graphic novel releases from the company’s VIZ Kids imprint. MR. BUMP™: LIGHTS, CAMERA, BUMP! and LITTLE MISS SUNSHINE™: HERE COMES THE SUN! both debut on April 17th, are rated ‘A’ for All Ages, and will each carry a MSRP of $6.99 U.S. / $7.99 CAN. The books are recommended for readers ages 6 and older. LITTLE MISS SUNSHINE™: HERE COMES THE SUN! and MR. BUMP™: LIGHTS CAMERA BUMP! feature comic book versions of characters from the popular Mr. Men And Little Miss™ series of children’s books, originally created by author Roger Hargreaves in 1971. The loveable Dillydale residents, with names such as Mr. Tickle™ and Mr. Happy™, each have personalities and physical attributes inspired by their names. More than 80 classic Mr. Men And Little Miss™ books have been published in 28 countries and have sold more than 3 million copies in the U.S. alone. Cartoon Network broadcast two seasons of the animated Mr. Men Show between 2008 and 2009, with episodes now available on DVD. The MR. MEN AND LITTLE MISS™ graphic novels created by VIZ Media are the first of their kind. MR. BUMP™: LIGHTS, CAMERA, BUMP! Story by Matthew Britton, Art by John Hardman · Rated ‘A’ for All Ages · MSRP: $6.99 U.S. / $7.99 CAN · Available April 17th! Mr. Bump is must-see TV! Poopity poop! Mr. Bump is stuck inside his TV! With every change of the channel, he finds himself in the middle of a different show. Whether he's dancing with the Little Misses, surviving on a desert isle, or ghost hunting, Mr. Bump is must-see TV! But will he ever get home again? LITTLE MISS SUNSHINE™: HERE COMES THE SUN! Story by Michael Kenny, Art by Victoria Maderna · Rated ‘A’ for All Ages · MSRP: $6.99 U.S. / $7.99 CAN · Available April 17th! Take a magical musical tour of Dillydale with Little Miss Sunshine™! Good morning, Dillydale! What does Little Miss Sunshine™ do when she finds a bus on her lawn? Leads a singing tour through Dillydale, of course! She's also riding horses, throwing parties and judging Dillydale's favorite talent show, "Dillydale's Got Talent!" Is there anything Little Miss Sunshine™ can't do? For more information about MR. BUMP™: LIGHTS, CAMERA, BUMP!, LITTLE MISS SUNSHINE™: HERE COMES THE SUN, and other VIZ Kids titles, please visit www.VIZKids.com. Headquartered in San Francisco, California, VIZ Media distributes, markets and licenses the best anime and manga titles direct from Japan. Owned by three of Japan's largest manga and animation companies, Shueisha Inc., Shogakukan Inc., and Shogakukan-Shueisha Productions, Co., Ltd., VIZ Media has the most extensive library of anime and manga for English speaking audiences in North America, the United Kingdom, Ireland and South Africa. With its popular digital manga anthology WEEKLY SHONEN JUMP ALPHA magazine and blockbuster properties like NARUTO, BLEACH and INUYASHA, VIZ Media offers cutting-edge action, romance and family friendly properties for anime, manga, science fiction and fantasy fans of all ages. VIZ Media properties are available as graphic novels, DVDs, animated television series, feature films, downloadable and streaming video and a variety of consumer products. Learn more about VIZ Media, anime and manga at www.VIZ.com.